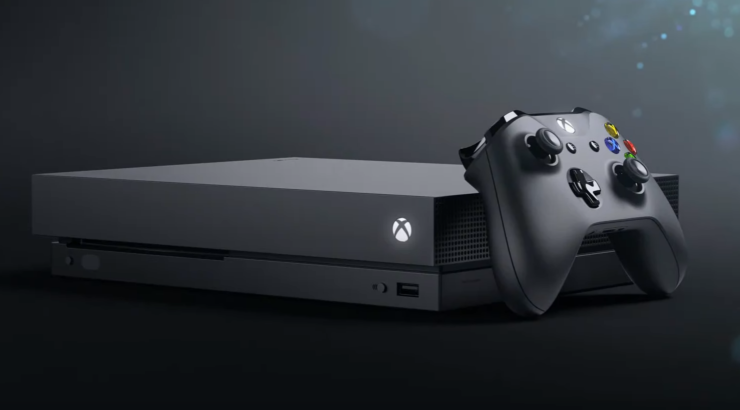 [Update] Later in the Xbox E3 2017 briefing, Xbox head Phil Spencer revealed that the Xbox One X will be priced at $499 USD when it launches this November. [Original story] During its E3 2017 press conference, Microsoft officially unveiled Project Scorpio as the Xbox One X, which will launch on November 7. Not only will the Xbox One X be the most powerful console ever created, it will also be Microsoft’s smaller Xbox console to date, which is quite an achievement. To console will launch this November with 4K UHD Blu-Ray playback, and will work with all current Xbox One accessories and games. Sporting a six teraflop GPU and 12GB of GDDR5 memory, the Xbox One X supports premium Dolby Atmos sound and wide color gamut alongside HDR. Current Xbox One titles will look significantly better on the Xbox One X with enhanced visual fidelity, anisotropic filtering, and faster loading times. The console will use supersampling to improve visuals on 1080p screens, too. As said, the Xbox One will launch globally later this year on November 7.